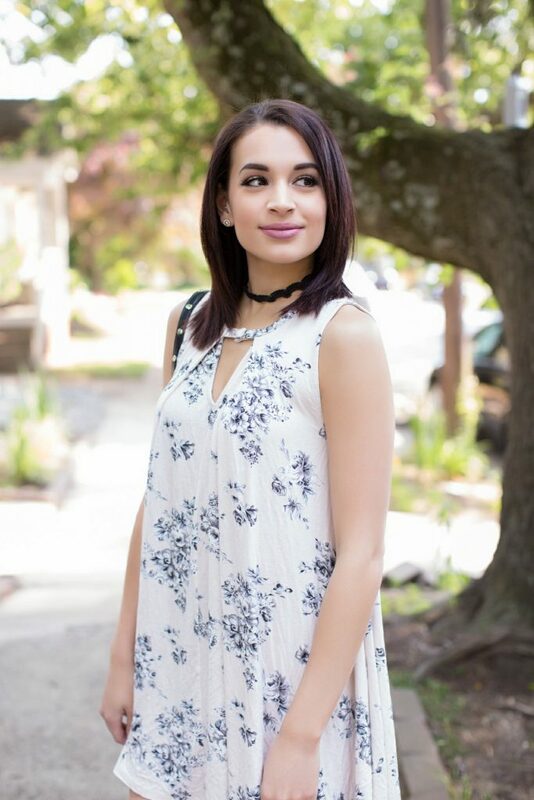 I can not get enough of floral prints in the spring and summer! The dress I’m wearing is from Vestique and I’ve also been eyeing a ton of similar printed dresses from Forever 21. I’m also loving this lace choker which I think has a more contemporary look than the plastic black chokers I was rocking back in 1998. I also seriously recommend all wedges from Steve Madden since I wear the pairs I have around like flip flops, they are so comfortable! I almost bought this dress 🙂 It’s so pretty on you! This look is so cute and I love your shoes! I love how delicate the dress looks and the choker with it! So cute!